→Need A Gochugaru Substitute? How About 16 Amazingly Easy Ones! Need A Gochugaru Substitute? How About 16 Amazingly Easy Ones! Gochugaru has a distinctive but not overpowering heat flavor, and it is used in many Korean recipes calling for a bit of red heat. Unfortunately, gochugaru is not available in every local stores and finding is not always easy. However, finding its substitutes is much more easier. Here are a list of 16 amazingly easy substitutes for Gochugaru when the recipe calls for some and you can not get one. 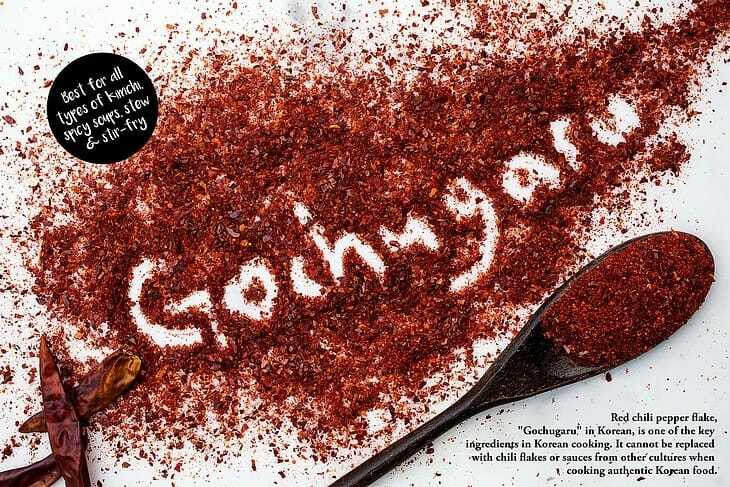 Gochugaru (고추가루) is a chile powder used in popular Korean dishes, such as kimchi, tofu and galbi. The chile has a distinctive but not overpowering heat flavor, and it is used in many Korean recipes calling for a bit of red heat. Gochugaru can be more sweet and smoky, known as deolmaewoon gochugaru, or extra spicy, which is known as maewoon gochugaru. It can also be fine or coarse. Personally, I love trying new cuisines and dishes. I also love anything peppery and spicy, so I was intrigued by the description of these hot yet sweet and smoky sun-dried peppers. Before moving on to alternatives, you can check out this brief ﻿﻿tutorial on how to write and say "gochugaru". Now let's get to it. If you're looking for a good substitute for gochugaru power, try this exotic pepper. 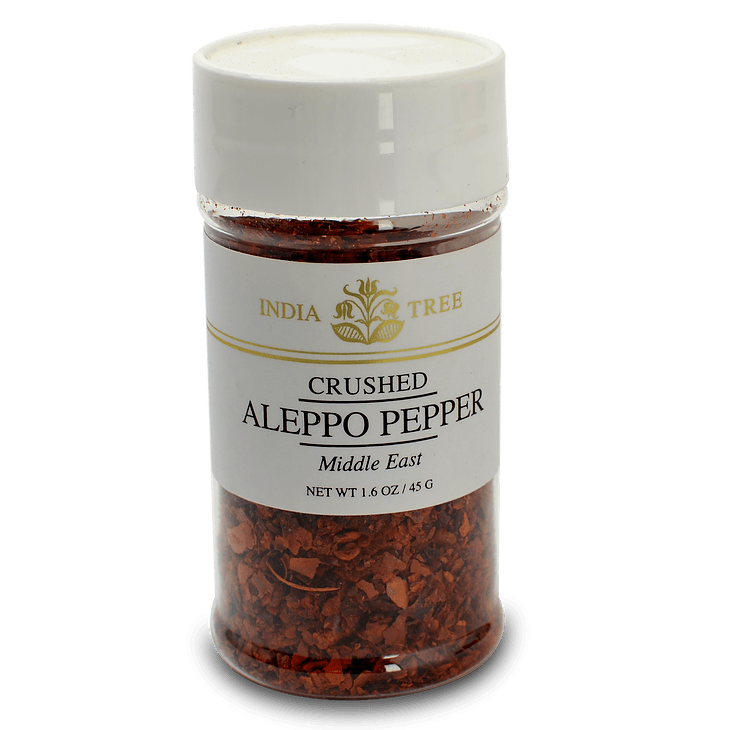 The Aleppo pepper gets its name from the Syrian town of Aleppo in southern Turkey, the Mediterranean's culinary mecca. This pepper is a good substitute for Korean chile powder because it is moderately heated with a cumin-like undertone, balanced with a salty vinegar and a touch of fruitiness. 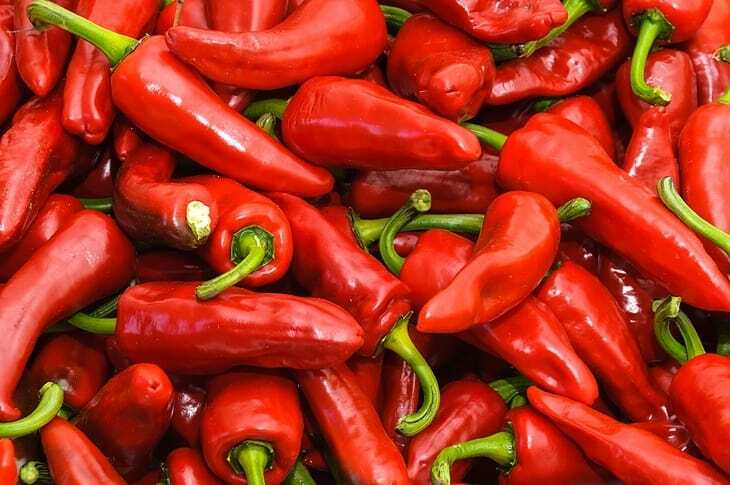 It is widely used in cuisines of the area and is a great alternative to paprika and crushed red pepper. Its aromatic flavor and vibrant red color makes it the perfect replacement for gochugaru in many Korean dishes. The Chile de Arbol is akin to cayenne pepper, sharing the thin flesh, acidic heat and smoky flavor. It means "tree-like pepper" in Spanish and imparts a grassy undertone to dishes. The bright red pepper is ground up with the seeds and all, so it will pack a hot punch to any dish you put it in. If you are looking for a replacement for a spicier gochugaru, look no further than this fiery devil. When you buy some, stock up; the pepper is ideal for salsas, stews and just about any Mexican dish you can think of, so you're sure to find plenty of ways to use it. 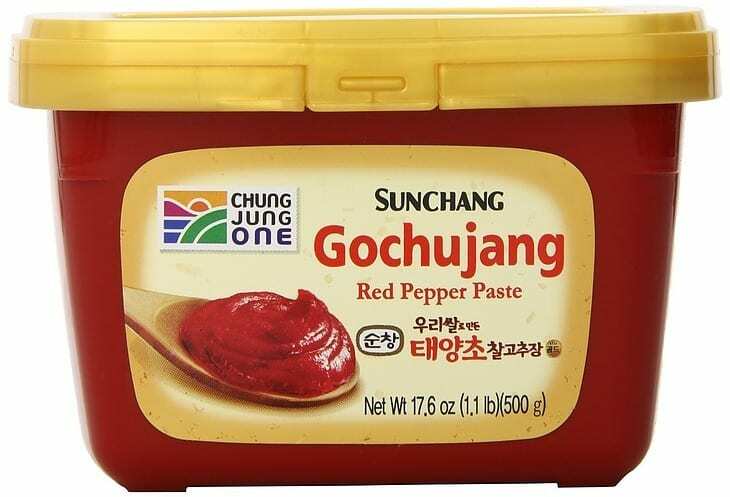 Gochujang is made primarily with Korean pepper, so this is a great replacement for gochugaru. Keep in mind the paste is saltier than the powdered pepper due to the way it is made, so you will need to adjust your recipes accordingly. Gochujang lasts for at least a year in the freezer, so don't be afraid to stock up on it even if you do not cook Korean food very often. It can be used as a condiment for your chicken, as a marinade and even as a dip, so it is likely you will find many more uses for it than just a cooking additive. 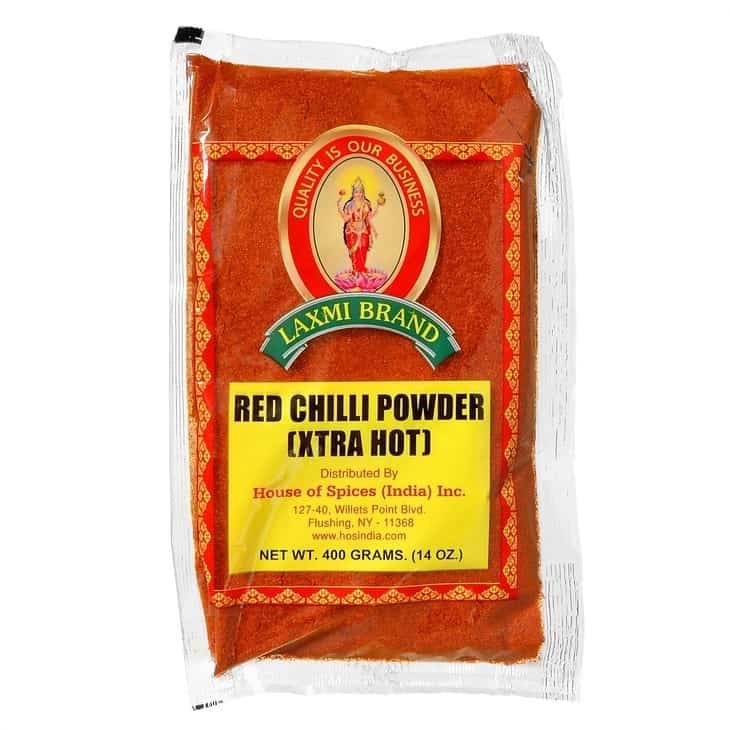 Indian chili powder or lal mirch mixed with cayenne in a 3-to-2 blend can work in many dishes when you need a substitute for spicy Korean chile powder. The exact ratio you use during cooking will determine how the finished recipe will turn out. For more sweetness, add more Indian chili powder. If you like extra spice and heat in your dish, go heavier on the cayenne. The addition of Spanish smoked paprika will give a sultry smokiness to the dish as well. The dark color imparted from the red powder will help make your meal look as good as it tastes. Ah, the jalapeno. Who in the world has not heard of this tasty little treasure? 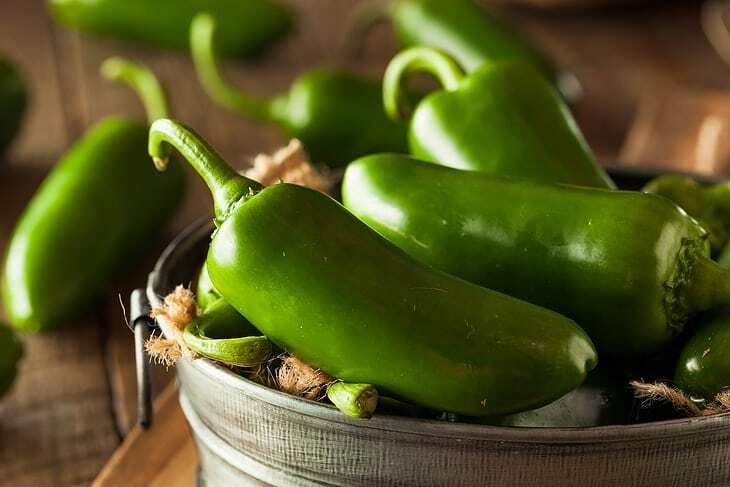 In case you are one of the rare few, the jalapeno is a small or medium-sized pepper that produces a pleasantly hot burning sensation in the mouth while not scorching the taste buds. 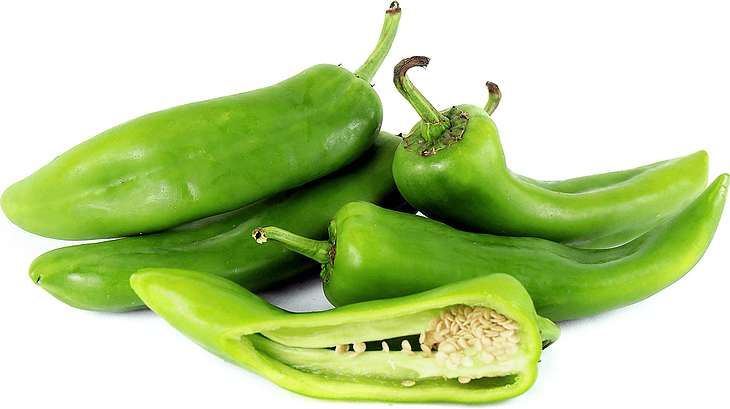 Jalapenos are used as snacks, added to dishes and are mainstays in many sauces and salsas. You may know them as chiles gordos, cuaresmenos or huachinangos. Smoking the jalapeno creates the chipotle peppers, which will be mentioned later. Jalapenos range in color from spicy green to sweet crimson red and can be used in many different forms. Depending on the ones you choose for your dish, smoky paprika may be a welcome addition to them for both flavor and color. If you utilize fresh peppers, bear in mind that the seeds and white inner flesh are the hottest parts. This pepper hails from the region of Kashmiri in northern India. Unfortunately, this may be just as hard to find as gochugaru due to a strain on supply and demand. One imitation that could be easier to find and used in Korean dishes is the Byadgi chile, which is also named after and Indian town. These peppers have both been compared to paprika, although they impart more heat. The bright crimson color will turn your foods a fantastic red. If you want to use this gochugaru substitute, your best bet is to look for Kashmiri powder, not the whole pepper. The whole dried Kashmiri Chilli is a dark red, almost the colour of wine. 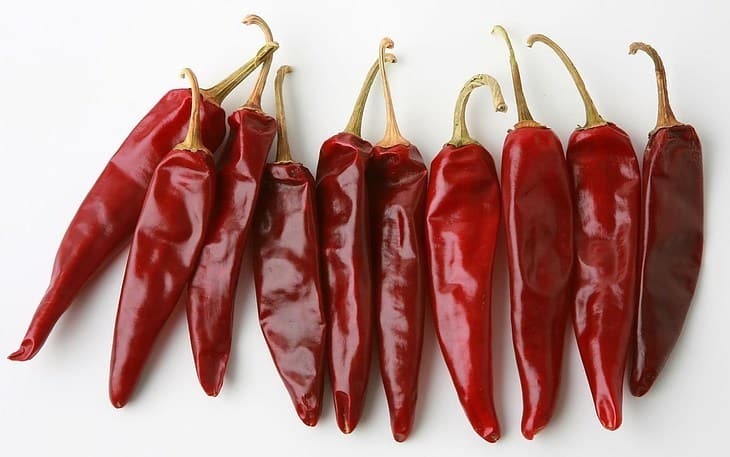 The Sandia chile pepper, similar to the Anaheim, grows to 6 to 7 inches, and while these peppers ripen to red, they're often used while green. Keep in mind that if you use them green, your dish will be lacking the signature dark red color that gochugaru would lend. Sandias will add a kick, but like Korean red pepper, it will not be overwhelming. 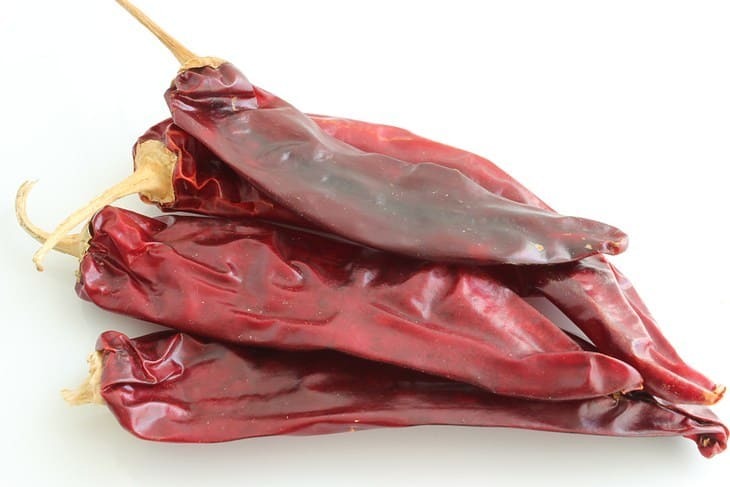 These chiles are a tad hotter than jalapenos, and if you use peppers a lot like I do, you may want to consider adding them to your garden so that you always have some on hand. I just save the best for last. The 8 below are my best substitutes for gochugaru. It took me a lot of time to try and put them in practice. This substitute is a bit confusing because it can be found under so many monikers. Asian chile sauces utilize many different chile peppers to create variances in both heat and flavor intensity. The bottle may say Asian Chile Sauce or Chile Paste and may include oil, herbs, garlic, sugar or other seasonings. You may also find them in different colors like brown, green, red or yellow. They tend to be oilier than Mexican or U.S. chile sauces because tomatoes are not included. Sauces are often used in a myriad of ways to flavor dishes, from toppings to marinades, while pastes are often used as the base of sauces and stir fry dishes. 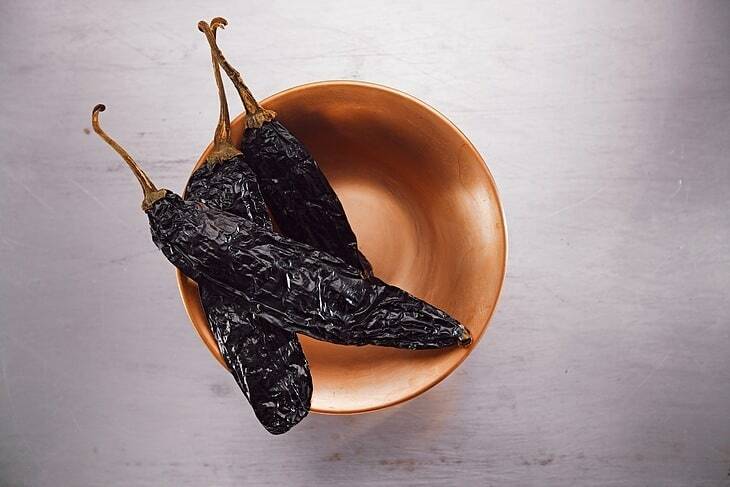 Ancho chiles are dried poblano peppers. These heart-shaped, reddish-brown, wrinkled peppers are sweet yet hot, making them an excellent substitute in recipes calling for gochugaru powder. You may wish to add a spicie﻿﻿r peppe﻿﻿r depending on how hot your cravings are. You can easily store these little beauties in the freezer for a year or more as long as they are in a tightly sealed container or freezer bag. To use, either grind them up or reconstitute in water for 10 minutes. F﻿ish peppers ﻿are pre-1947 varietals that are making a big comeback. Experienced and novice gardeners alike love the green and white ornamental leaves on the plant as well as the fact that they naturally repel animals and other pests. They are hardy plants that produce abundant crops with little upkeep. The pepper is great in fish and seafood dishes and possesses a tantalizing heat that doesn't outshine the food it complements. I had never heard of this little gem prior to making this list, and after trying it as a gochugaru substitute, I will definitely be adding it to my garden this year! 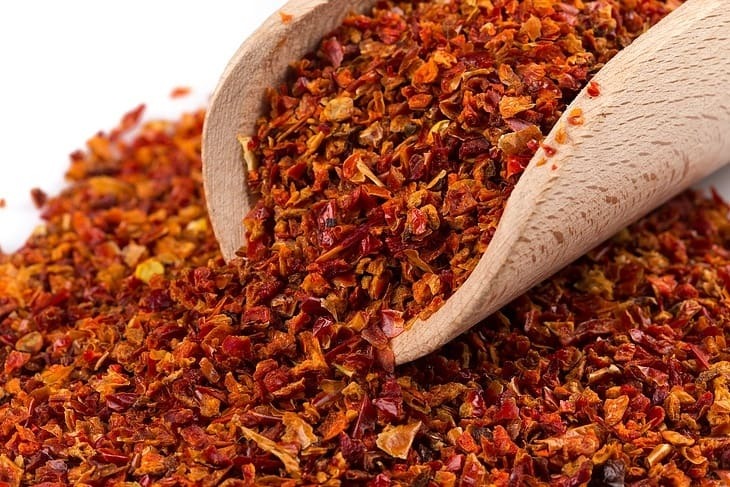 You may know these as cayenne pepper flakes, ground or crushed red pepper, or simply chile pepper. 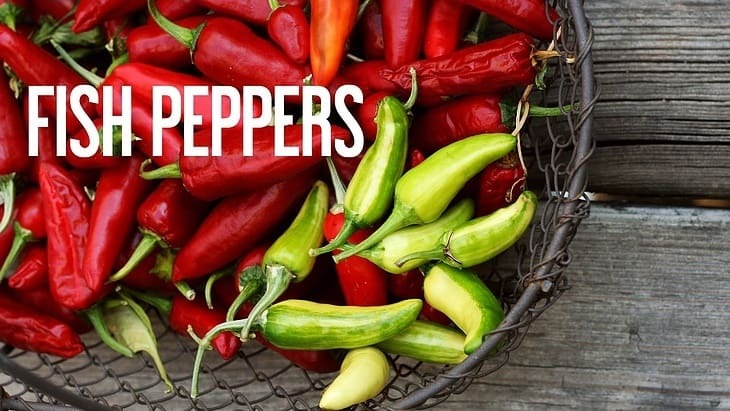 They're made from hot red peppers that are dried and then crushed, frequently cayenne. Because they are not de-seeded prior to crushing, they are quite hot. 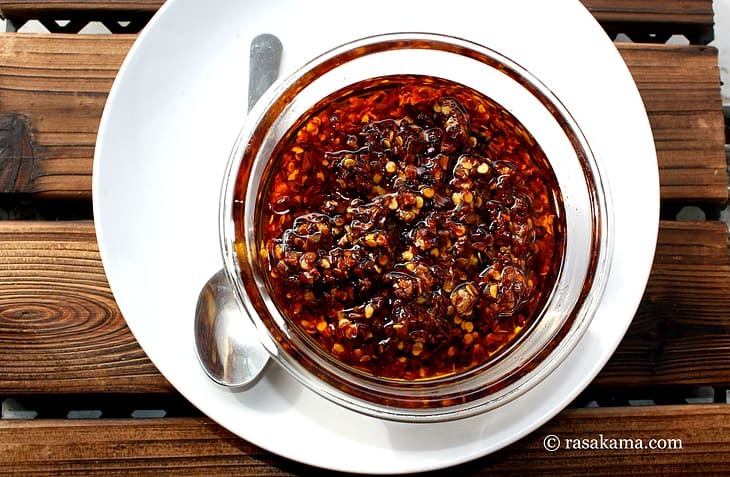 Red pepper flakes are a great alternative because, in a pinch, they can even replace gochugaru to make gochujang! They are not as complex as Korean red peppers, and you may want to experiment with how much you use as well as add a little paprika to balance the heat. Did you know that the chipotle pepper that has become so popular is not actually an occurrence in nature? It is a smoked jalapeno pepper that has a vibrant, smoky, spicy and sweet flavor all rolled into one glorious package. 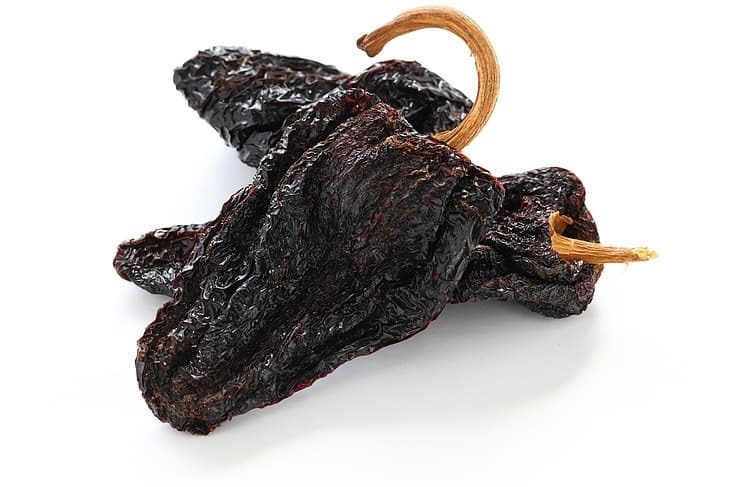 Chipotle peppers are created by letting jalapenos turn a crimson red on the vine before being picked and smoked until they are completely dried out. The process takes days, and for every 10 pounds of jalapenos, only 1 pound of chipotle pepper is created. Be forewarned that it will be hard to recreate any dish precisely using chipotle peppers because there are hundreds of varieties of jalapenos, creating a myriad of nuances of chipotles. Some of the most popular chiles in Mexico, guajillo chiles are second only to the Ancho chile pepper in cooking preparations. In the Mexican farming industry, they are a close second to jalapenos. These peppers are usually dried, but you may find them whole, diced, julienned or made into a paste. They are a reddish-brown color and thus will change the color of your dish. Guajillos along with Anchos and Pasillas are known as the Holy Trinity of Chiles. Rated at 2,500 to 5,000 Scoville units, they won't make your food too hot, so you may find you want to add a little more spice. If you have never heard of the heat rating system for peppers known as Scoville heat units or would like to brush up on your knowledge, check out this video. The Piment d'Espelette is from the Basque region of France and is named after the village of Espelette, which is located in France's Nive Valley close to the Pyrenees mountains. These peppers are likewise grown in Spain and are a Protected Status pepper variety. Quite simply, this is like Champagne grapes; the Piment d'Espelette cannot be designated as true without being from this particular region! 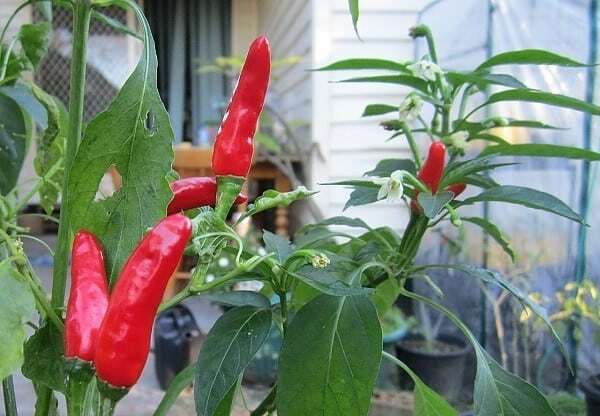 The pepper's nuanced, subtle heat has a fruity brine undertone, and if you are lucky enough to find it in powdered form, you will notice that it is like a delicate cayenne. This can be a perfect alternative to those who do not like too much fire in their food. The Chungyang Red Pepper gets its name from the region in Korea where it originated. 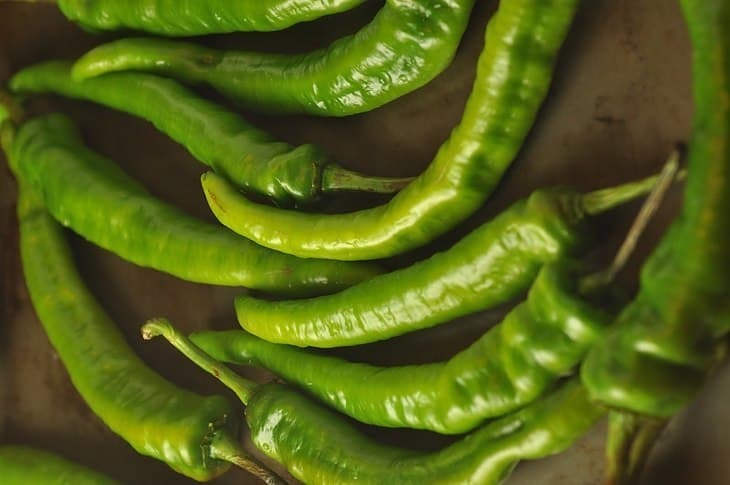 This fiery, small-sized chili pepper leaves an intense burning sensation, so it is best when you want to create something more spicy than usual or when you would be adding extra heat along with the gochugaru you already have. Like many peppers, the seeds are the hottest part, and removing them before adding them to other ingredients will temper the heat a bit. The peppers offer a range of 10,000 – 23,000 Scoville heat ﻿﻿units. Also known as California chiles, New Mexico peppers or Magdalenas, Anaheims are very versatile in usage. They are an excellent choice when cooking for a crowd because they offer a mild kick that nearly everyone can tolerate. On the Scoville scale, they only measure 500 to 2,500 heat units, which is almost eight times milder than most jalapenos. This does vary depending on where they were grown; those from New Mexico tend to be hotter than their Californian cousins. When they are dried, they are called Chile Seco Del Norte. Anaheim peppers are often used in place of both poblanos and bell peppers; they are that versatile! I tend to like a little more heat, so I would add a hotter pepper to the dish as well, even if it is just a dash of cayenne. There you have it: 16 awesome gochugaru substitutes. Let me leave you with two more bits of wisdom. First, in an absolute pinch, if all I had to work with was currently in my pantry, I would use cayenne mixed with a sweet red paprika. Secondly, if you do come across some gochugaru, don't shy away from buying it in bulk. The fragrant powder will stay fresh in the freezer for at least a year, giving you ample time to use it all up. I know I will be referring back to this often and trying out different combinations of peppers depending on what dish I am making. Please let me know your thoughts on these gochugaru subtitutes below, and be sure to share this list if you enjoyed it! Not a single item on your list would be an appropriate substitute for gochugaru. Thanks for all the time and effort of explaining the substitutes! A great resource! I am making Kimchi for the first time and could not find Gochugaru. Now I know some combinations of hot peppers and products I can use. Thanks!